An organized and clean environment is key to maximize efficiency and boost productivity. 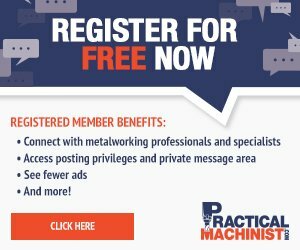 While this concept is pretty applicable to any working environment, it seems to be particularly relevant for anybody working in the metalworking trade. Productivity and efficiency are in fact the key the survival of any machine shop. As we already said before, tool organization in the job shop is a game changer. It allows machinists to focus on their job without having to struggle to find tools. And while there are some guidelines that you can follow to keep your workflow organized, having the right tools to keep your work environment clean definitely helps. Basic, and yet fundamental. It helps keeping the tools handy and the wheels allow you to take them anywhere you need. The selection of carts is pretty, giving you the possibility to choose size and number of drawers. Here’s what we recommend. A practical way to keep your taper tool holders organized and available when you need them. While many machinists like to make their own carts and just use plastic sleeves to protect the tool holders, we recommend this cart to save some time and focus on bigger projects. Having multiple drawers to keep your tools stored is a great way to keep the shop clean, but it’s important to keep the tools organized also within the drawers. That’s why we recommend using a liner. We recommend using Kaizen foam, which is available in different sizes and thicknesses. You might want to consider getting a Kaizen knife too, it will help cut out the space for your tools. Also available in different sizes and quantity, these little bins are fundamental to keep all your fasteners in one place. Here’s what we recommend. Less mobile, but definitely necessary storage solution in any machine shops. It helps keep larger parts in one place and it’s designed to hold heavy stuff. Any storage in a machine shop must be able to be scaled so you don’t waste man hours migrating to a new storage system. We also suggest storing similar sized items near each other for efficiency. If it isn’t nailed down it gets a serial number….think searching for insert screws for a holder from 3 years ago…..
Make sure everyone in the organization is using the same names for different niche tools. Helps everyone communicate. keep access to tool crib limited to 1-2 people + owner to audit. Have programmer take an active role in naming the category index in your data base system. you NEED one of these.